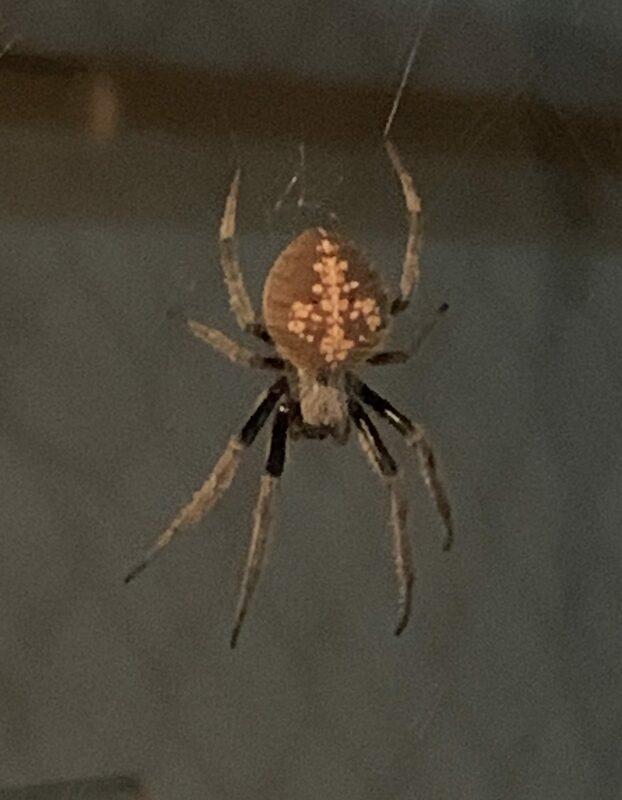 I think this spider is an orb weaver of some sort but I’m a spider newbie and am unsure. 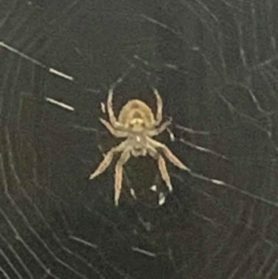 Please help me identify it. 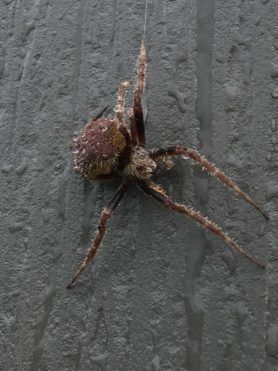 This is on my outdoor covered deck very near some milkweed plants. The monarch caterpillars have devoured the milkweed as they always do and there are many chrysalis pods hanging nearby. We’ve got a large number of monarch butterflies in the yard due to the milkweed. 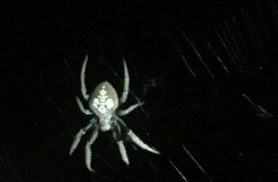 I found one in this spiders web a few days ago. The web is gone this morning due to high wind and rain yesterday. 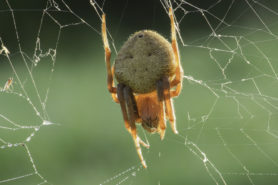 Hi, this is a Tropical Orb-weaver, Eriophora ravilla.